Staying connected with our residents! The Housing Services department sends weekly Thursday Newsletter Emails with important information and reminders to all residents. We ask that you read and understand what reaches your inbox. We thank all resident students for their understanding as this is our mode of communication with all 1000+ in-house students. 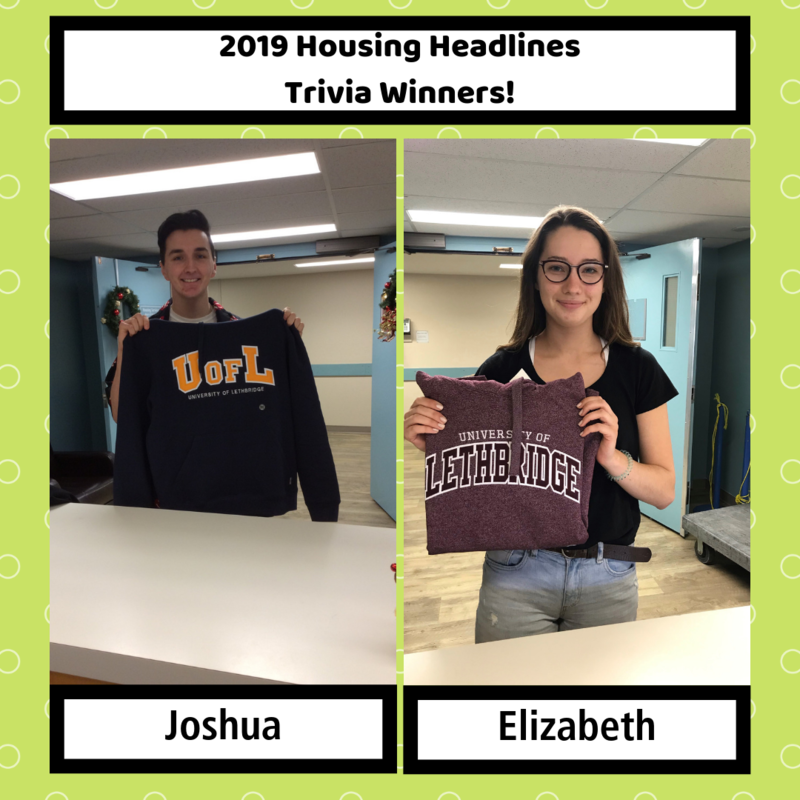 Read your Housing Headlines email, correctly answer the trivia question and enter once a week to win a U of L swag! *Please watch spam, junk or clutter folder. Be sure to add housing@uleth.ca to your address list.